I have also discovered that what is happening in Texas is not unique. I've learned of another imprisoned environmentalist in the State of Pennsylvania who is housed at a prison known as Frackville. The prisoner's name is Bryant Arroyo and he has uncovered the exact same custom, policy, and corrupt government practices in his state. Bryant Arroyo cites money as the underlying problem. I find that quite remarkable, because recently I have been studying the spending habits of Scott Pruitt, the director of the U.S. Environmental Protection Agency.3 As I see it, Pruitt and his cronies have aggressively forced roll-backs of anti-pollution measures. Simultaneously, Pruitt has conspired to line the pockets of close associates and other cronies. $100,000 a month for private jet memberships, bullet proof vehicles, and bulletproof desks? Pruitt has been so busy squandering and wasting tax payer dollars that he has virtually ignored environmental disasters taking place in plain sight! Senator Sheldon Whitehouse from Rhode Island has begun to investigate Pruitt's careless spending. My question is, when will the Environmental Protection Agency start doing some protecting of the environment? There are three large prisons in the Tennessee Colony/Palestine area: Coffield, Michaels, and Beto Unit, and they all have some type of industrial hog operation functioning. The prison agency TDCJ and the TCEQ know that these hog operations are contaminating our drinking water, but because we are prisoners, our health and our lives really don't matter to these violators of the public's trust! Lawsuits have certainly been filed citing the toxic water at both Coffield and Michaels Unit, but we have discovered that the conspiracy to cover up the existence of these toxic water supplies extends far beyond the offices of TDCJ and TCEQ. Corruption, collusion, and complicity exist in the U.S. Magistrate Judge's chambers in Tyler, Texas and in Lufkin, Texas. Something very foul is going on in the Eastern District of Texas. It won't be until the Federal Courts issue a significant monetary award to prisoners that TDCJ will finally clean up their act and stop poisoning the water supplies. Recently, Rolling Stone Magazine published a very informative expose entitled A Crap Deal for Duplin County (How China Outsourced Pork Production), by Doug Bock Clark.6 This article is a must-read for any serious water protectors or environmentalists. This expose serves as a case in point which clearly illustrates the high level of corruption which exists in Amerika and how capitalist corporations such as Smithfield Foods have entered into an agreement with the Chinese government to poison the environments and communities of poor black and white people. This expose will make you scream at the top of your lungs: Fire Scott Pruitt right now! 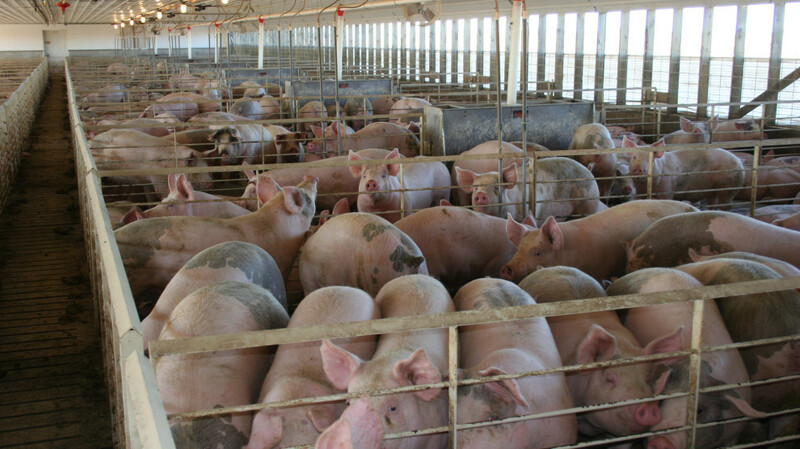 5 – Hog waste has not been proved to correlate with cancer, but researchers at Duke University in North Carolina are currently conducting wide-ranging studies into possible links. Texas A&M University students often come to prisons in Texas to study horses and engage in other agriculture-related projects, but for some reason the aggies won't help discover the connections between these toxic factory farms and our contaminated water supplies! Way to go aggies! When I first began to do my own research as to who was responsible for the abuse and mistreatment of livestock animals in Texas Prisons, my focus was on uncovering what companies or individuals were buying eggs and hog meat from TDCJ. My free-world friends and I were provided misleading information and deceptive lies by a TDCJ employee named Jane Goolsby, who works for the TDCJ Manufacturing, Agribusiness, and Logistics Division, Planning and Research Department. TDCJ does not sell eggs or pork meat to anyone – it is the agency's 'shell corporation', Texas Correctional Industries, that does all the for-profit business which exploits free prison labor, but of course that is another can of worms. Bobby Lumpkin is the Director of TDCJ's Manufacturing, Agribusiness, and Logistics Division. If Lumpkin's hogs are poisoning our water supplies, which in turn are causing us serious health problems which last for years, then we have found the person and the TDCJ department which is liable! It is time we re-craft and amend our list of culpable defendants to include Mr Bobby Lumpkin (remember that name). In the age of Trumpism, I've noticed that the Federal and State governments in Amerika relish the opportunity to abuse, exploit and mistreat the nation's most vulnerable, disenfranchished and oppressed populations. Toxic prisons like Eastham in Texas and Frackville in Schuylkill County in Pennsylvania are no longer the exception, they are the norm. We, the prisoners who inhabit these institutions, are mostly black, latinx, and poor white human beings. 2. Frackville Prison’s Systemic Water Crisis by Bryant Arroyo, published at fighttoxicprisons.org and in Socialist Viewpoint, Jan/Feb 2018. 4. Prison officials, ACA inspectors ignore contaminated water in Texas prisons by Keith “Malik” Washington, published in the San Francisco Bay View, October 21 2015. 5. Horrific Conditions for Live-Stock Animals in Texas Prisons Exposed by Keith “Malik” Washington, published at fighttoxicprisons.org and in the Earth First! Journal, Fall 2017. 6. Why Is China Treating North Carolina Like the Developing World? by Doug Bock Clark, Rolling Stone Magazine, March 22-April 5th 2018 - the title of the online version appears to differ from that in the printed copy Malik refers to. There are three large prisons in the... area..., and they all have some type of industrial hog operation functioning... [T]hese hog operations are contaminating our drinking water, but because we are prisoners, our health and our lives really don't matter to these violators of the public's trust!